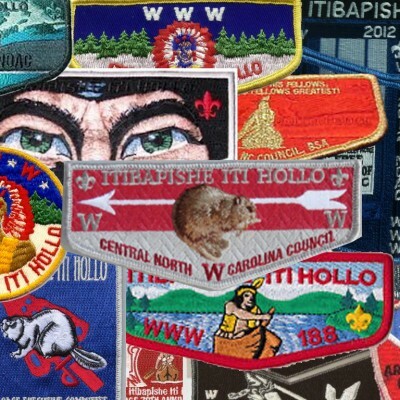 Itibapishe Iti Hollo Lodge is a part of Central NC Council BSA and was founded in 1940 as a member of Area H which included many of the lodges currently in SR-5 but extended from Atlanta to Tampa, FL. At the time it was then headquartered in Concord, NC but now resides near the council HQ in Albemarle, NC. The totem of the Lodge is officially the Beaver which was never used as a totem on the lodge’s Pocketflap until recently in 2012 when the first beaver patches were introduced. Itibapishe Iti Hollo Lodge still serves the Central NC Council through cheerful service and Camp John J. Barnhardt located in Albemarle, NC.